Wellington started out as the world's largest strawberry farm, the Flying Cow Ranch. C. Oliver Wellington bought 18,000 acres of swampland in the 1950s that eventually would become the Village of Wellington. Development was approved in 1972 and it was incorporated in December 1995. Wellington has become an international center for equestrian sports. Far from its roots as a backwater to its glamorous neighbor Palm Beach, Wellington today quietly draws a wealthy cross-section of international society, celebrity, and business personalities who consider it a required destination for equestrian pursuits. 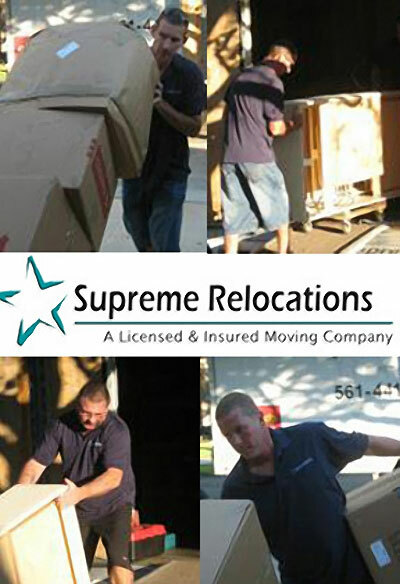 Wellington Moving Company Supreme Relocation are fully insured and provide a host of services that will take care of everything you need to make your moving experience smooth and stress free. We specialize in local moves in addition to providing moving services to anywhere in the USA. Supreme Relocation is an Accredited Business with the Better Business Bureau and a founding member of the Palm Beach County MVP Program. We are proud to have established a reputation for quality and reliability. Whether your move is local and long distance, we look forward to taking care of your family and your belongings.